I needed to buy a bottle of wine to meet the minimum for a credit card transaction at my local wine store, and so I fell back on some German riesling. I felt like the chances were that it’d taste ok. I knew that it was going to be a sweet wine (the low alcohol percentage of 8% gave it away pretty quickly), but I didn’t realize it was going to be literally sugar water with some alcoholic buzz. 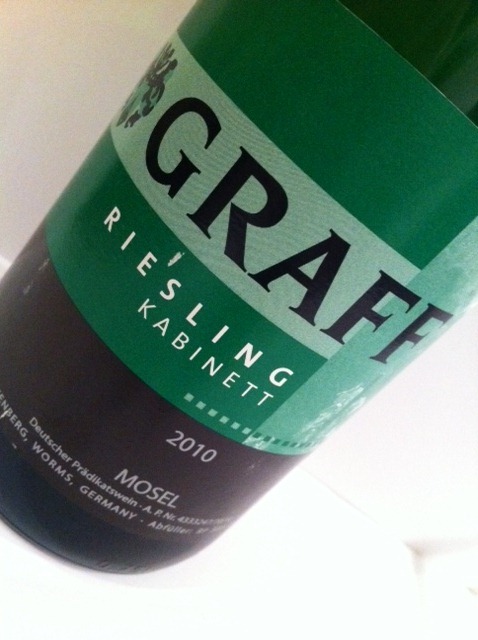 It’s definitely not a great riesling – it’s not fruity and has no real “taste” except for sweetness, but that’s actually appealing to some drinkers (I used to be one of those drinkers!). Personally, although I like my sweet rieslings, I’ve grown to enjoy a greater variety of flavors, especially delicate fruity flavors. But, for $12.99 from the wine store on 9th Ave between 36th and 37th in New York, it’s not bad (I couldn’t have expected too much more to be fair!). Note: the price is lower in many other stores ($8.45 at Empirewine.com and $10.99 at Astor Wines), which makes this a pretty cheap German riesling. 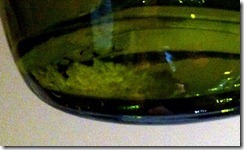 Why Are There White Crystals in My Wine? I was happily sipping my wine one evening when I choked slightly and sputtered. There was something in my wine! I was horrified when I spit out a small transparent crystal – did I nearly swallow a diamond? Did the bottle shatter? Or was this a grain of non-dissolving sea salt? Or was someone trying to poison me??? Needless to say, I panicked! Luckily, in this day and age, we don’t go calling up the police with fears of being poisoned – instead, we turn to good ol’ Google. A quick search reassured me that what I just had was “normal” or at least wasn’t any of the many horrific possibilities that had gone through my head (somehow the safe possibilities didn’t really occur to me). In fact, one website told me that those crystals signified that the wine was of good quality (I was slightly dubious as I was pretty sure that wine had cost less than $20). So why are there crystals? Wine contains tartaric acid, which comes from grapes. 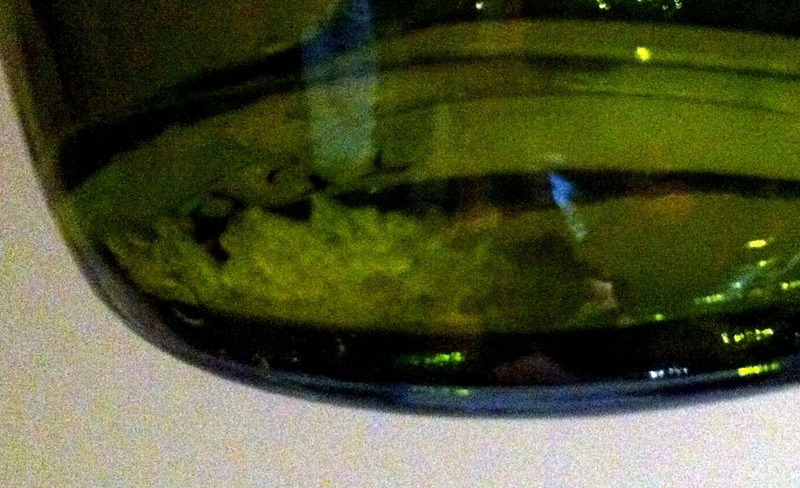 Unfortunately, tartaric acid doesn’t completely dissolve in wine, especially when the wine is chilled. 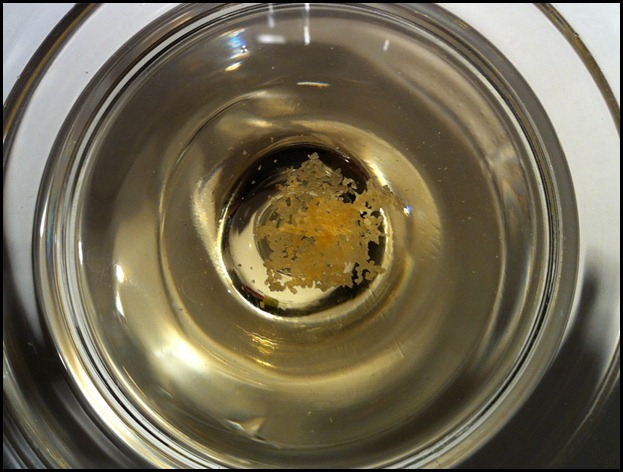 I had kept my wine chilled in the fridge for several weeks, and so some of the tartaric acid had precipitated out and formed crystals. Apparently, these crystals can afflict both red and white wines but are completely harmless and do not alter the flavor of your wine in anyway. Why aren’t there crystals in all wines? Apparently, wineries got so tired of people asking why there were crystals in their wine that they now put wines through a process that basically involves refrigerating the wines until the tartaric acid forms crystals and then filtering the crystals out. So the only wines that you’ll still find crystals in are old wines and wines from boutique wineries who don’t bother going through the filtration process. Of course, if you’re drinking one of those “special” wines, you can easily avoid drinking the crystals yourself by pouring the wine out gently or using a tea strainer for the last glass. So, don’t worry – it’s not glass, stones, or poisons. It’s safe to go back to enjoying your wine now. The wine definitely smells like a buttery California chardonnay, although it has a slightly minerally and metallic tinge to it. 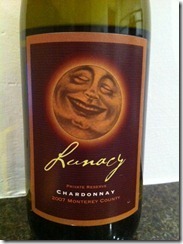 I’ve liked a few California chardonnays before but this one just doesn’t do it for me. It tastes very minerally and almost a little bitter. It also tastes quite acidic to me. A thumbs down unfortunately. Apologies for the shoddy picture, but it was taken in a BYOB restaurant with poor lighting (I was sat in front of a picture that was lit with alternating blue and red lights). The BYOB restaurant was a great French place called La Sirene in Soho, New York. The food was excellent, and good French cooking always pairs well with a great bottle of French wine! The French sure did a great job of making sure their wines went with food! This bottle was fairly fruity with some bright cherry notes. 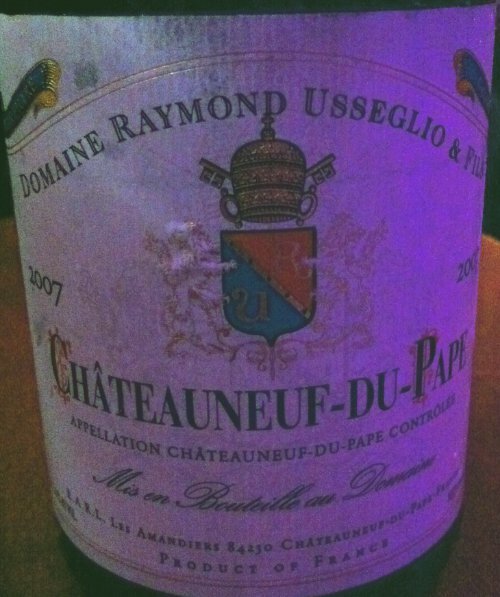 Chateauneuf-du-Pape is probably one of the most famous wine producing regions in the world, and I’ve often heard people talking about a bottle of Chateauneuf-du-Paper in tv dramas and movies! The wine is produced from a blend of 3 different grapes, around 75% grenache, 5% syrah, and 10% mourvedre (often referred to as a “GSM” blend). You can buy this bottle online or at Astor Wines for around $50 (it’s $47.99 at Astor). 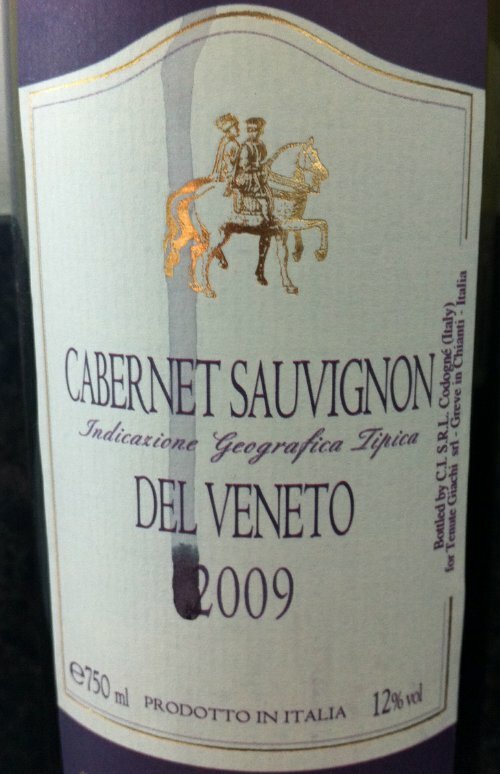 This Italian Cabernet Sauvignon is seriously spicy! I bought it from Barclay’s wines online. In fact, the spiciness of the wine was so overpowering, I couldn’t really drink it! If you like a lot of kick in your wine, then this is it, but it wasn’t for me. You can buy the 2010 bottle from barclayswine.com for $12.95 per bottle. I picked up this wine a year ago from Girard in Napa. It’s a nice red with plenty of fruit and very well balanced. Everything melts together very smoothly in your mouth. Girard is currently selling their 2009 Old Vine Zinfandels for $24 a bottle. Wine Calories Killing My Diet! Why are wine calories not posted on the back of wine bottles like other foods? I recently switched to a low carb diet for health reasons (not just because I drank too much wine, although that may have contributed!). Since being on the diet, I’ve become more and more conscious of what I intake. Wine is unfortunately, one of the things that is discouraged on a low carb diet. It’s no surprise to anyone that alcohol must contains calories and carbs since people can gain weight from drinking it (just think of the beer belly), but exactly how many calories and carbs are there in your wines and spirits? What should you drink if you want to be are watching your calorie intake or your carb intake? The US Department of Agriculture has compiled a not all that user-friendly search engine with wine calories and other nutritional data for various other alcohols. Here are the basics that I gleaned from their data. 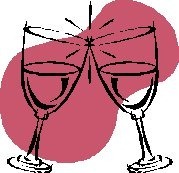 There is no noticeable wine calorie difference between red and white wine. A glass of around 5oz (see picture for how much that is) is around 125 calories and contains around 3-4g of carbs. This is probably the amount you’ll get at a restaurant (unless they’re super generous with their pour). Another way to visualize this is that you can pour 5 glasses of this portion size from a standard bottle of wine (75cl or 750ml). The lower the alcohol content of the wine, the fewer the wine calories. Champagne and other sparkling wines like brut or prosecco have around 98 calories and 1.5g of carbs for a 5oz serving, which makes this the best wines to drink if you’re watching calories or carbs! Obviously, dessert wines have way more wine calories and carbs. For example, a late harvest Riesling will have around 175 calories and 20g of carbs for a 5oz serving. Similarly, something like port will have more calories and carbs than a glass of wine. Let’s compare the wines to beer: There’s usually around 12oz for a bottle of beer. In a bottle of Bud Light, there’s 110 calories and 6.58g of carbs. For a regular Bud, there’s 146 calories and 10.6g of carbs. And compared with some hard liquor: For a shot of gin, rum, whiskey or vodka (1.5oz, 80 proof or 40% alcohol), there’s 97 calories and 0 carbs. For a shot of sake (1.5oz, around 30 proof or 15% alcohol), there is 59 calories and around 2g of carbs. And for a pina colada: just drink it, coz you don’t really want to know its nutritional values! Conclusion? Drink champagne (or one of its cheaper cousins like brut of prosecco) if you want fewer wine calories and carbs. If you’re out for some serious drinking, just down shots of any hard liquor! This Napa wine is great with melon and prosciutto! That was how I first tried the wine, and that was also what I served with the wine during Christmas dinner. The first thing you notice about the wine is its delicate floral smell. You’ll also notice some small bubbles in your glass because the wine is slightly fizzy. It has a slightly sweet taste (but definitely not syrupy) with fruity flavors ranging from grapefruit to lychees. You can drink the wine by itself, but it tastes way better with the prosciutto and melon. To taste wine with food, you put a little bit of the food (in this case, melon and prosciutto) into your mouth and then chew. While the food is still in your mouth, take a small sip of the wine. Chew some more with the wine in your mouth. Swallow the food and wine, then take another sip of the wine. This procedure allows you to taste the food by itself, taste the food with the wine, and taste the wine by itself. When I did this with the melon and prosciutto, the wine brought out the slightly salty flavor to the prosciutto and the sweet flavor of the melon. Everything was enhanced. I’m sure you’re eager to try this pairing yourself, but sadly, I can’t find the wine anywhere. 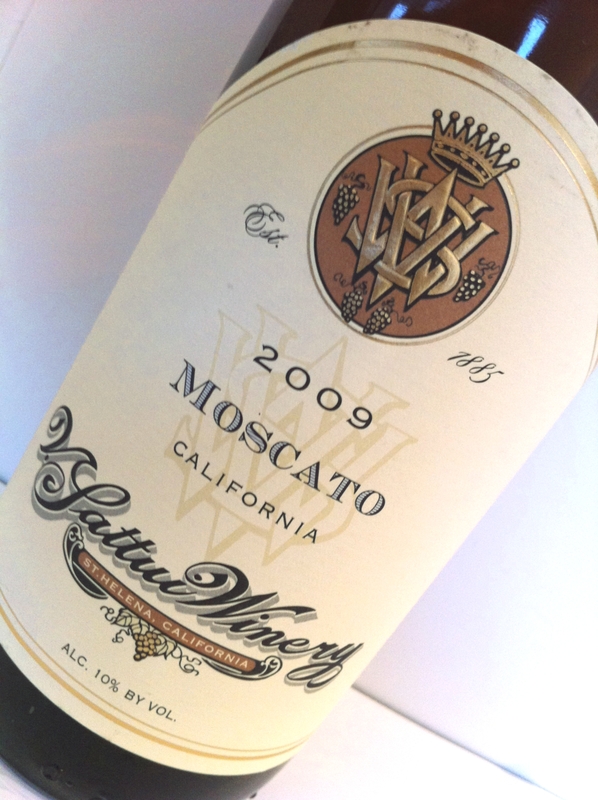 I bought it a few months ago when I visited Napa and tried the wine at the V. Sattui winery. It is sadly sold out (I called to double check!). The winery said that they will be bottling the 2010 vintage early next year. All of their wines are sold on their website so check for this wine sometime next year! If you’re lucky enough to spot this wine in a store, I suggest buying one to try since it’s a pretty cheap wine considering how delicious it is – around $25 per bottle. I’ve always been a fan of dessert wines, and port is definitely one of my favorites. If you’re unfamiliar with port, it’s a sweet, red wine, usually fortified with a grape spirit (a brandy-like substance) to stop the fermentation early on. This then creates a high residual sugar content in the wine and raises the alcohol percentage. Port is generally produced in Portugal (from the Douro River Valley region), and, technically, only ports produced from Portugal may be called Port or Porto, although I don’t think this is that strictly policed. You can also find a lot of port-like wines from Australia, Argentina, and even the US. I found a lot of really amazing port-like wines in Australia, and they were dirt cheap for amazingly high quality wines. It’s a pity that they don’t import much of those to the States, but if you ever get the chance to go to Australia, I would definitely recommend trying some out there. Tawny Ports are barrel-aged ports i.e., the red grapes are put into wooden barrels until they turn a golden-brown color. If there is no age labelled on the bottle, then it was probably in the barrel for around 2 years. Otherwise, they will usually label how many years they have been aged for. The characteristic taste for tawny ports is their nutty flavor (more of a hazelnut favor). Vintage Ports are made from grapes from a certain declared vintage year. In Portugal, the decision to declare a ‘vintage year’ is a decision made by each individual producer that year. Vintage years are generally declared only when the grapes produced that year are exceptional. Generally, only 3 out of 10 years are declared ‘vintage years’ by a producer. Vintage ports are often aged in the barrel for a maximum of 2.5 years and then aged in the bottle for another 10 to 30 years. They are known for their dark purple color and their fruity taste (both a result of the short barrel aging time). Late Bottled Vintage (LBV) Ports are like Vintage Ports but don’t usually require bottle aging. Most can be drunk as soon as they are released by the producer, which means you can just buy one from a store and pop it open the same day. LBVs arose from Vintage Ports that were left in the barrel for longer than planned because of low demand. This then developed into a new style of port. LBVs are generally barrel aged for 4 to 6 years as opposed to the maximum of 2.5 years that Vintage Ports undergo. Of course, some commentators don’t think they’re as good as Vintage Ports that have been properly bottle aged. Ruby Ports are bottle-aged ports and are generally the cheapest and most mass-produced type of port. To make these ports, the grapes are stored in concrete or stainless steel tanks after fermentation, which prevents it from aging too much and keeps it ruby in color. White Ports are white in color as they are made from white grapes. Be careful when buying these for dessert as they can range from very dry to very sweet. The bottle I enjoyed last night was a Vintage Port from 2000. I probably drank it a tad early as it’s only recommended for drinking after 2011, but it’s hard for any good wines to stay unopened in my apartment. This port has a great smell – full of blackberries, cherries, and maybe a touch of licorice. The taste isn’t as sweet as I like my ports to be, but there’s a lot of fruity taste to compensate for the lack of sweetness. And you can keep tasting that delicious faint grape/raisin/raspberry taste in your mouth for ages after swallowing. I think this port is great for people who like red wines but generally don’t like dessert wines that much, because it’s not super sweet or syrupy like many dessert wines. 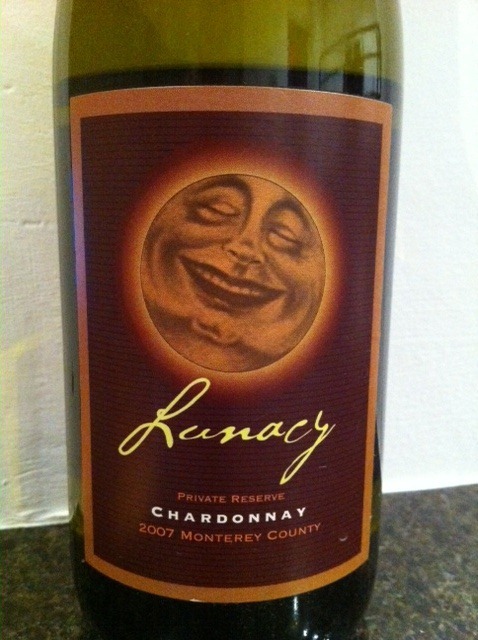 This bottle was rated 95+ on Wine Advocate and 94 on Wine Spectator (if you care for ratings). Good ports are unfortunately quite pricey, and this one is $94.99 for a 750ml bottle (normal wine bottle size) at Astor Wine and Spirits. If you just want to try it, you might be able to find a half bottle (375ml) in some wine stores for around $45 to $50. 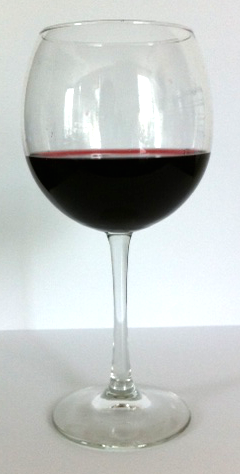 I’m almost shocked at how many red wines I’ve consumed since I started this blog a month and a half ago. I had initially thought this blog would be dominated by sweet white wines, but I am happily surprised by my willingness to experience wines outside of my normal riesling/dessert wine range. I bought this wine at Astor Wine and Spirits and took it to a BYOB (Bring Your Own Bottle) French restaurant called La Sirene in the Village (NYC). I’ve recently started liking BYOB restaurants because it’s nice to have a good bottle of wine with dinner without breaking the bank! And what better bottle to take to a very traditional French restaurant than a French red. The wine didn’t have a particularly strong smell, although I detected dark cherry and oak in it. The taste was a bit disappointing – it was quite bitter and had a higher tannin level than I would have liked. However, the wine did improve with food. I got the beets salad with pistachio, apple, and brie for my appetizer, and the wine paired decently well with that because the beets were fairly sweet. The wine also paired well with the goat cheese tart appetizer because that again was slightly sweet in flavor. I think the sweetness of the food calmed the bitter taste in the wine thereby enhancing the flavors of both the food and the wine. Unfortunately, the wine didn’t go too well with my main course, the baked seafood shepherd pie, but I could have guessed that. The conclusion: probably not a wine I’d drink again. Where can you buy it? Although I had bought it at Astor for $29.96 only a few weeks ago, it does not appear to be on their website anymore, so I fear it may have sold out. However, it is sold at a few other places, e.g., Sussex Wines & Spirits (but for $44.99).